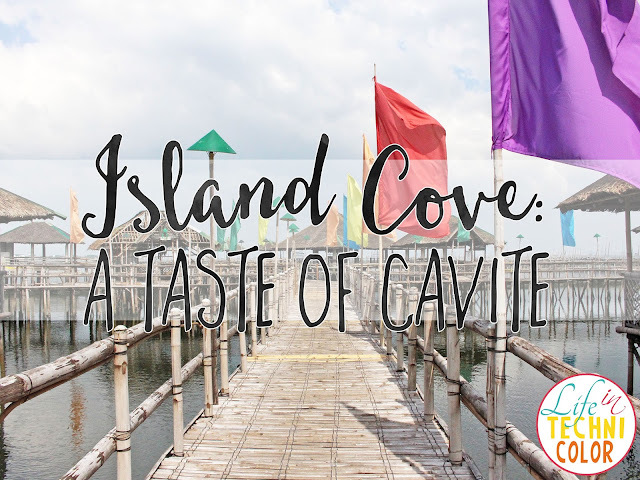 A few weeks ago, we went down south to have a taste of Cavite all in one place - Island Cove Hotel and Leisure Park! 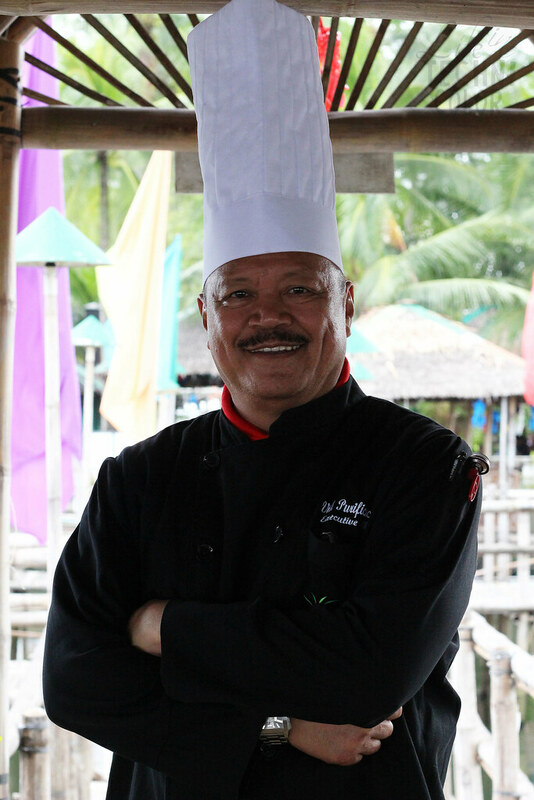 Island Cove's "Taste Cavite" menu is a showcase of indigenous ingredients, history, and tradition. 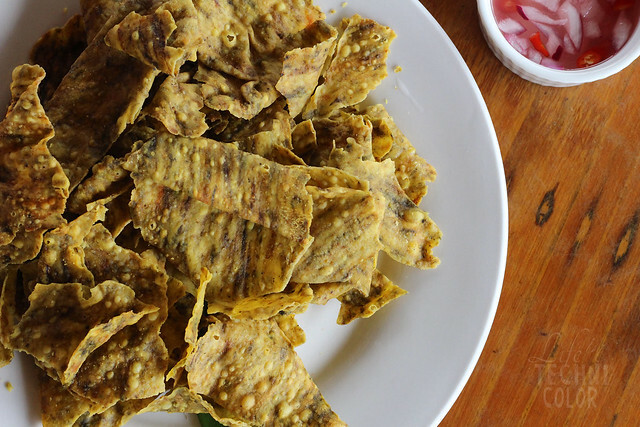 A one-stop Cavite food tour, if you will. Personally, I don't know a lot about Cavite and the types of dishes that hail from it, so this trip was more than a regular food adventure for me, it was an educational one as well. 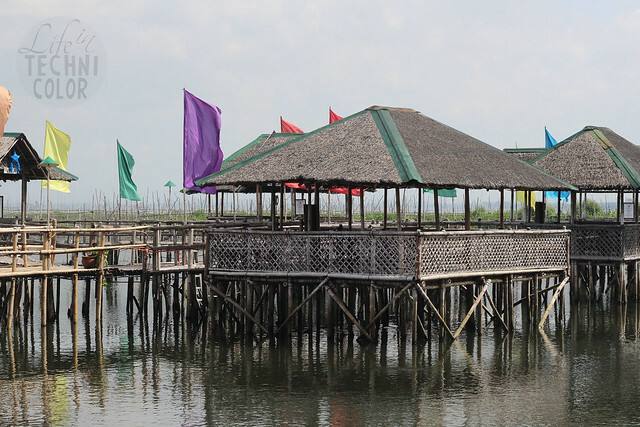 "Being located at the mouth of Cavite, Island Cove should be the gateway of all things Cavite, " according to Managing Director Gilbert Remulla. 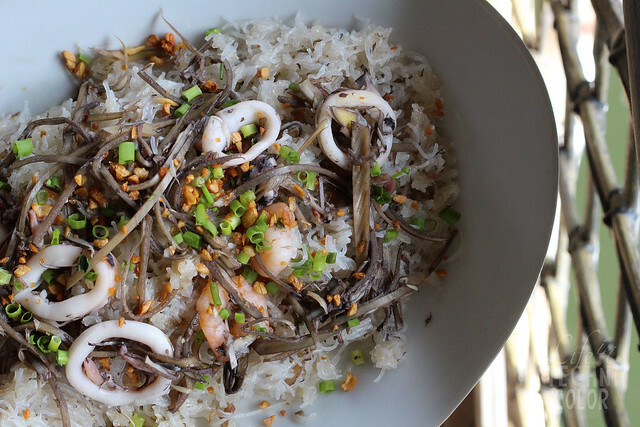 "We'd like everyone to know how rich Cavite cuisine is. 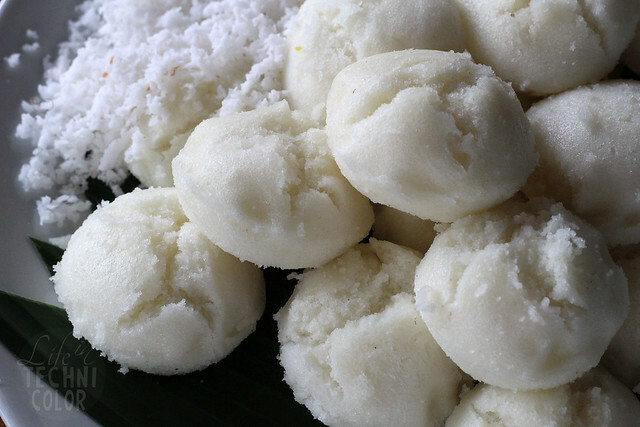 We are serving the food of our childhood. A lot of the restaurants that offered these specialty dishes are no longer around, but we want to bring the food back." 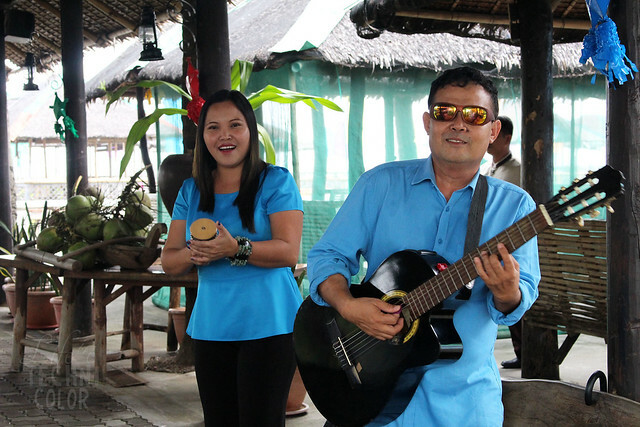 We headed to Island Cove's Fishing Village where we were greeted by a whole lot of smiles and songs. 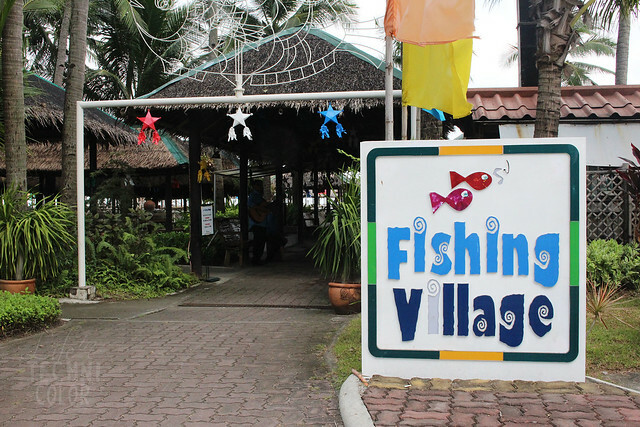 The Fishing Village is Island Cove's dining area where you eat in huts on stilts overlooking the Manila Bay. 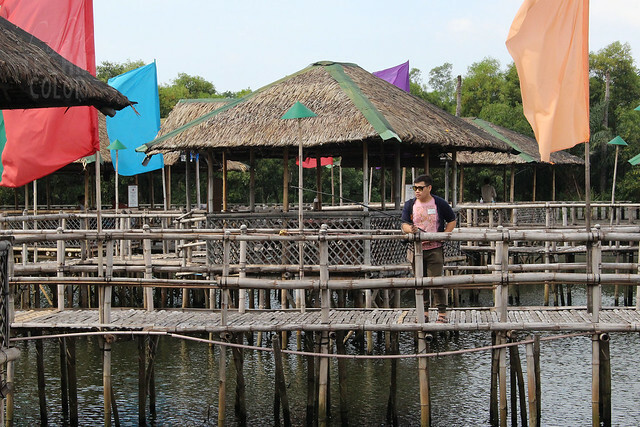 Here, you can fish for your own food and have it cooked whichever way you want. Or you can simply choose from their wide assortment of seafood and meat and have it grilled on the spot! During our visit, we tried everything in their newest Taste Cavite menu which was created by Executive Chef Vill Purificacion and his team. 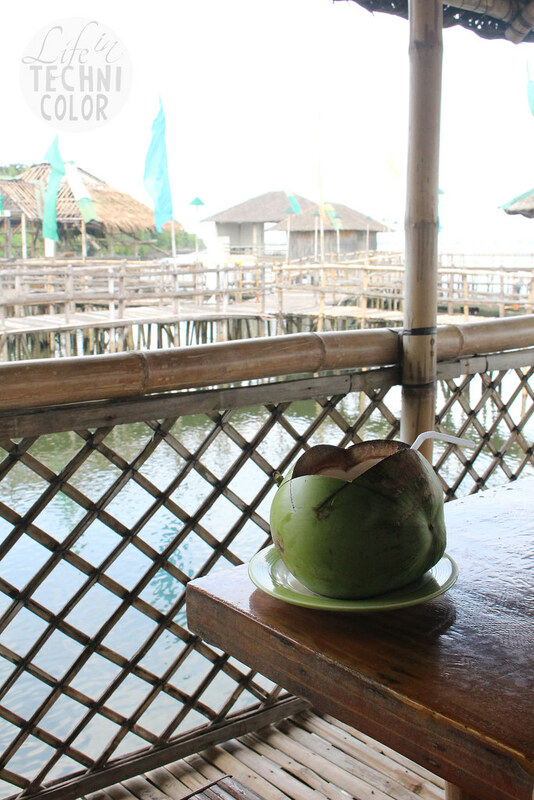 We started the meal with the perfect drink for any island adventure - fresh buko juice! After that, we had the Fried Lawlaw. 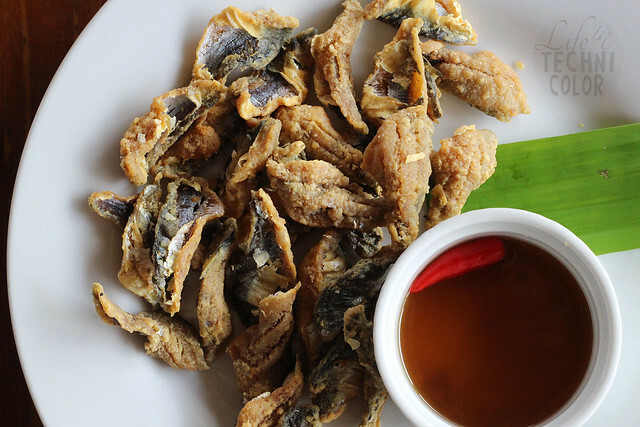 A tiny fried fish fillet that is no joke to make. I mean, how do you even begin to fillet a fish so small? I really enjoyed this with the special dipping sauce that's only available at Island Cove. One by one, more dishes arrived, and we devoured every single one of them! 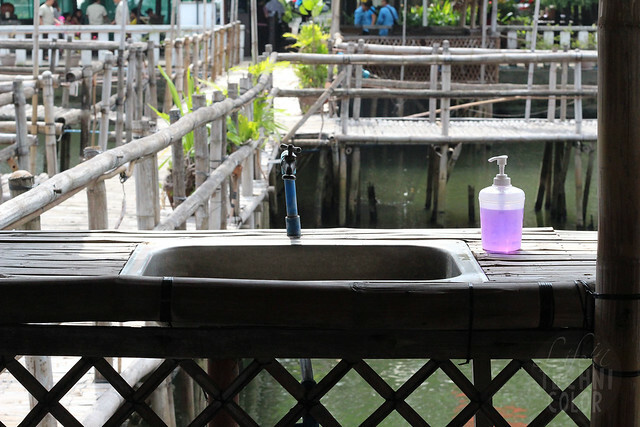 I'm so glad the huts come with washing areas so you can eat with your hands - the way a true Filipino does! The Mutya ng Cavite is next on our list. 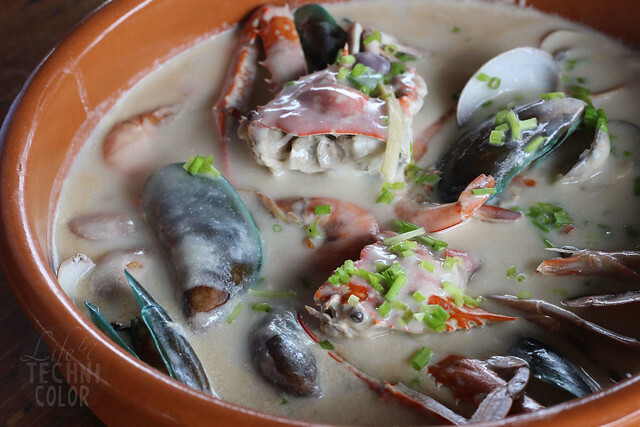 It is a rich creamy soup that used to be a popular dish at the old 7 Sisters Restaurant owned by the Sabater family in Marulas, Kawit. 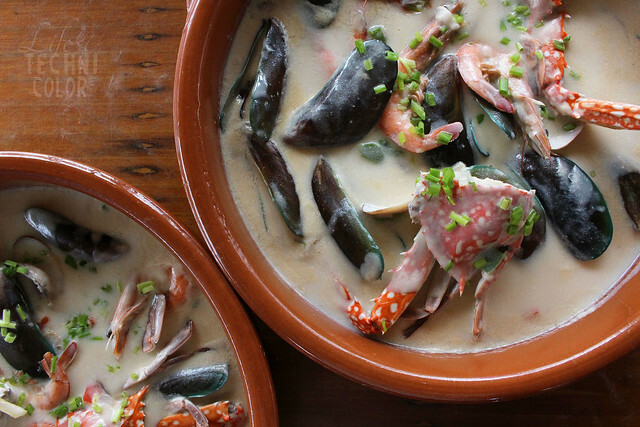 It is similar to clam chowder except it consists of fresh mussels, crab, clams, and shrimps. 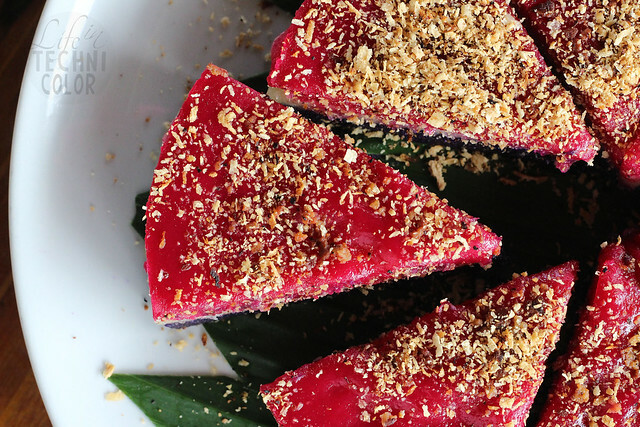 I absolutely loved its creamy base that I ended up getting two servings of this! 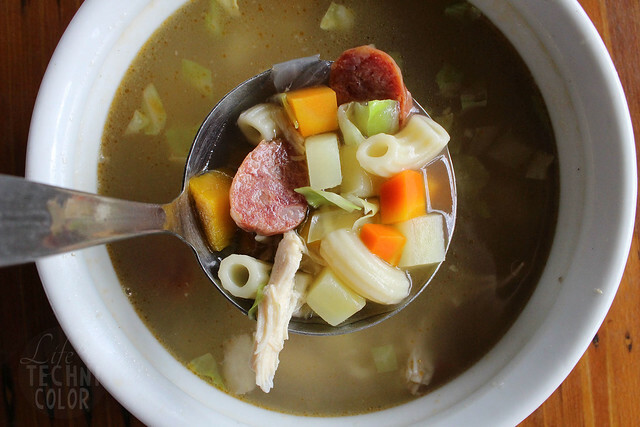 Another popular soup would be the Calandracas. 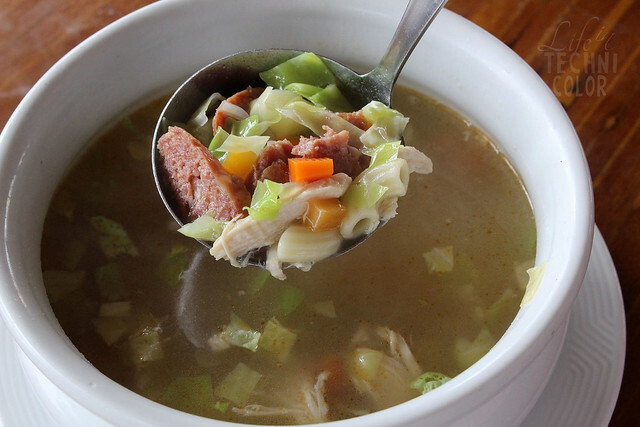 It uses ham hock stock as a base and has carrots, potatoes, cabbage, chickpeas, chicken, gizzard, chorizo, and sotanghon then seasoned with patis Tanza. It may sound like there's too much going on here, but it's a lot like sopas, which is one of my favorite soups ever. 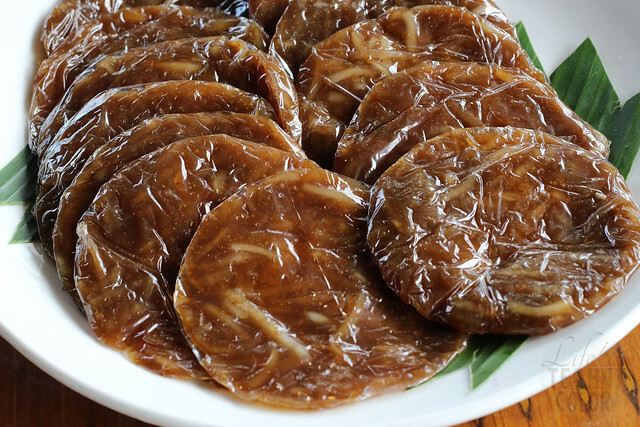 Another uniquely Cavite dish is the Adobong Imus. 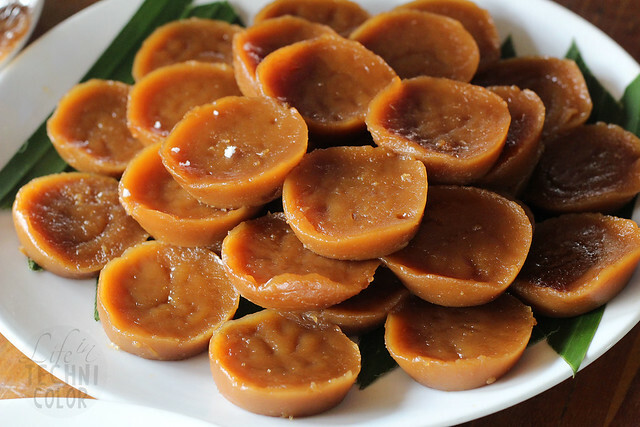 Unlike regular adobo, this does not have soy sauce in it, instead, it is slow-cooked in vinegar, annatto oil, bay leaves, and salt and pepper. 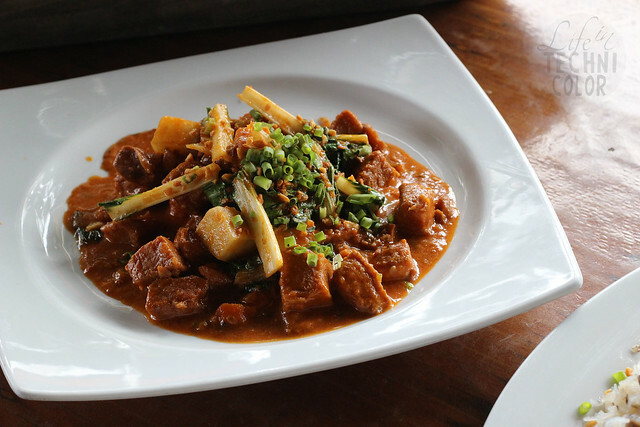 "This manner of cooking adobo has been a tradition, since the time of my lola," said Chef Vill. How about some Bacalao? 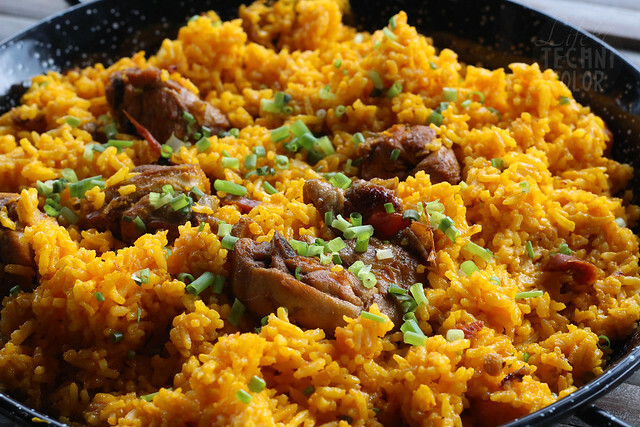 This Spanish-influenced dish was a huge hit during our visit to Island Cove. This consists of dry-salted labahita or surgeon fish (rather than bacalao, like the name suggests) cooked with vegetables, Spanish chorizo, garbanzo, and annatto oil. 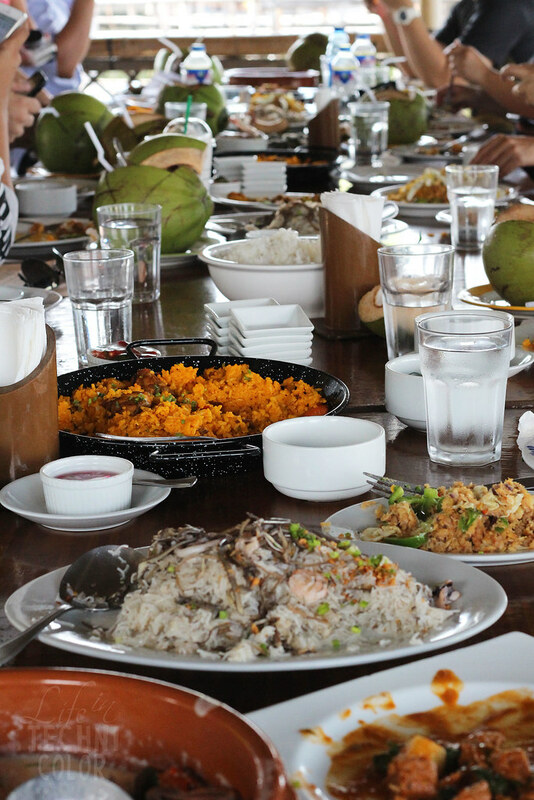 From General Trias, we had the Valenciana, which is similar to Spanish paella with chorizo de Bilbao, chicken, and pork, but with one addition - coconut milk. Once I heard those two words, I immediately got excited. 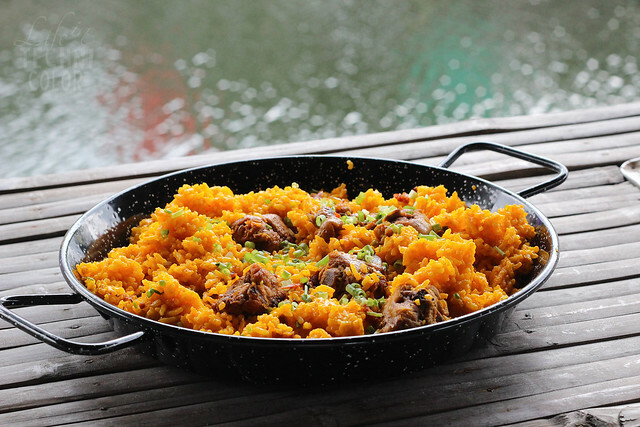 You see, I love anything with coconut milk, and the thought of paella with gata just blew my mind! I extremely enjoyed this dish, and I can't see why others wouldn't. 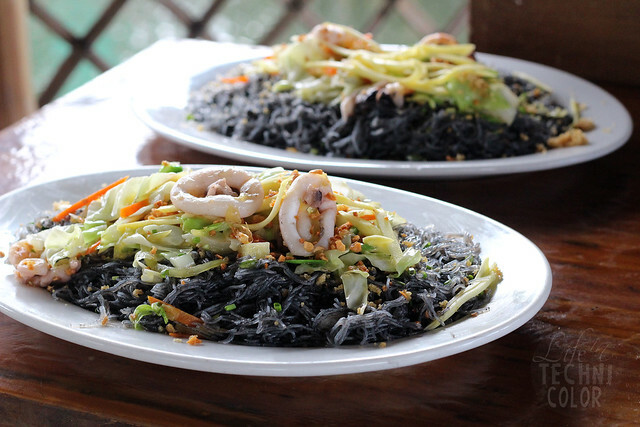 The Pancit Pusit from Kawit features a squid ink base topped with squid rings, grated green mangoes, and scallions. I didn't think much of it at first since I recently had the same dish at a different restaurant, and it was mostly bland. This one wasn't though. In fact, it was full of flavor. 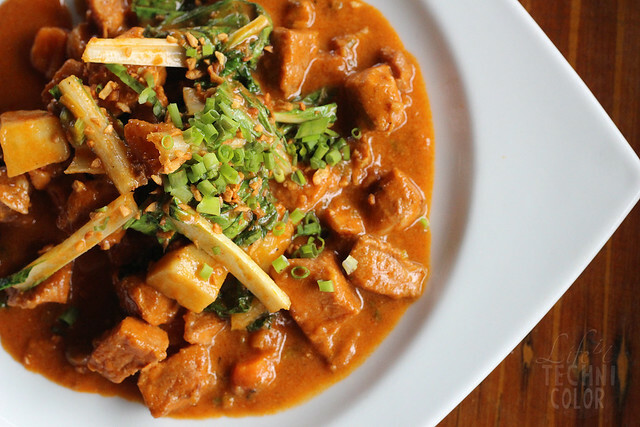 Try to get some green mango in every bite, because that's really what makes this dish stand out for me. 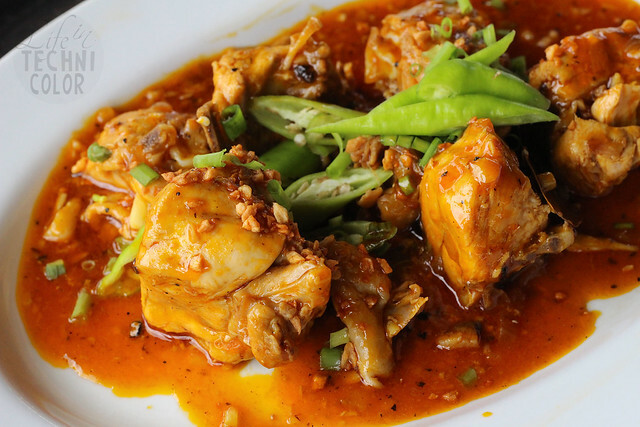 The Afritadang Gulay na may Baboy is another dish from Kawit. It is stir-fried vegetables with sweet potatoes, pechay, bell peppers, and sautéed pork. 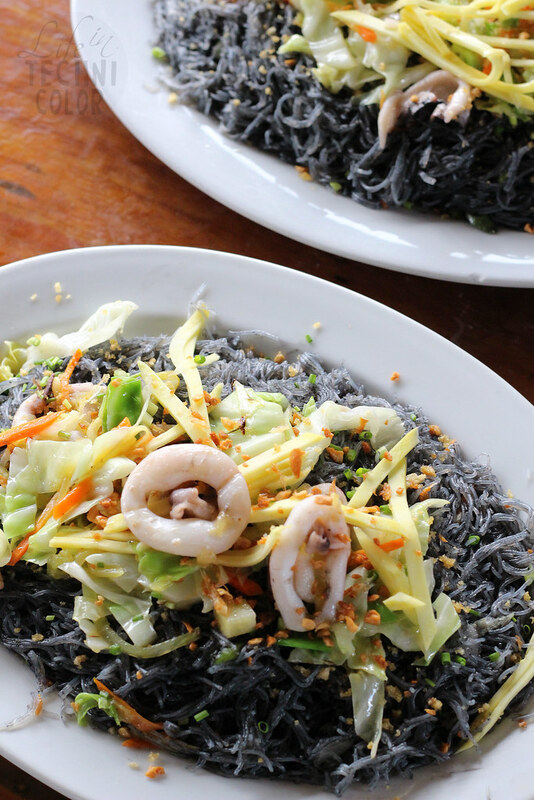 Another pancit specialty is the Pancit na may Puso ng Saging. 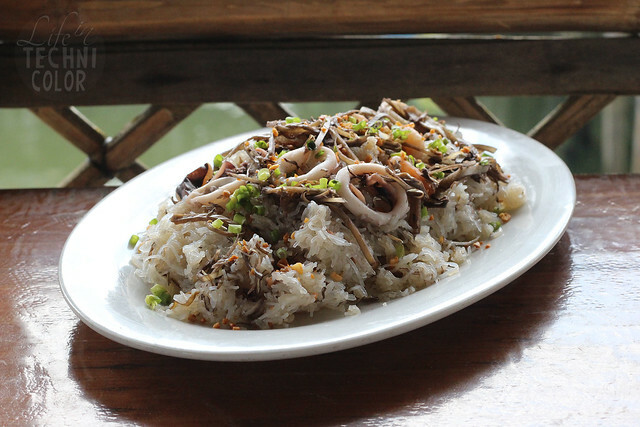 This pancit combines bihon and miki bihon cooked in achuete with small slices of pork and thinly sliced green beans, carrots, and cabbage. Instead of using calamansi as a souring agent, this one comes with thinly sliced puso ng saging (banana blossoms) cooked in generous amounts of vinegar. 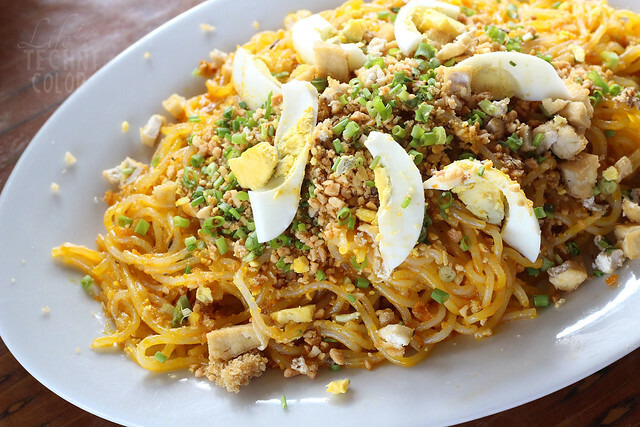 Finally, we had the Pancit Malabon. 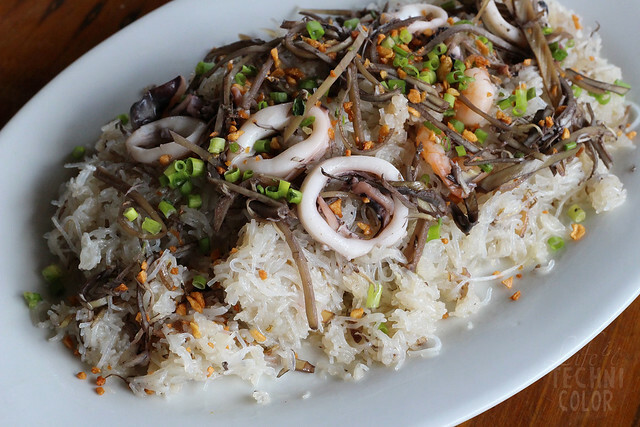 I was surprised to know that this dish actually came from General Trias and not Malabon (like most of us know now). Apparently, General Trias used to be called San Francisco de Malabon, hence the name. 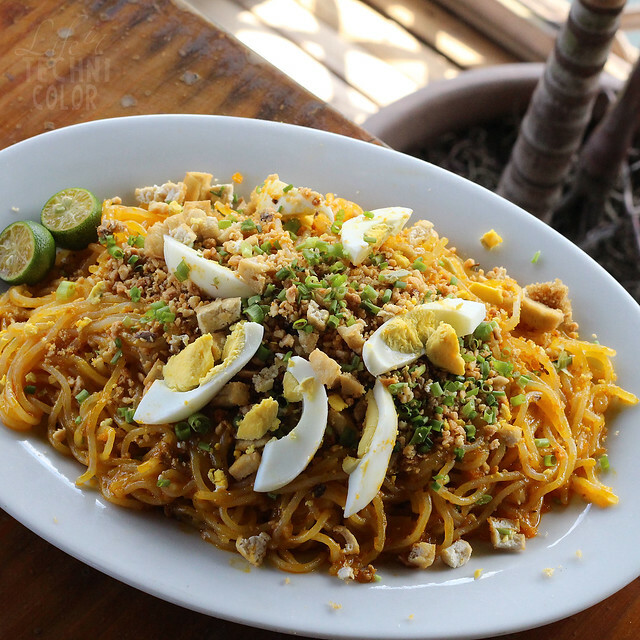 The Pancit Malabon is made of glass noodles, shrimps, smoked fish, and eggs mixed with shrimp sauce and topped with chicharon. 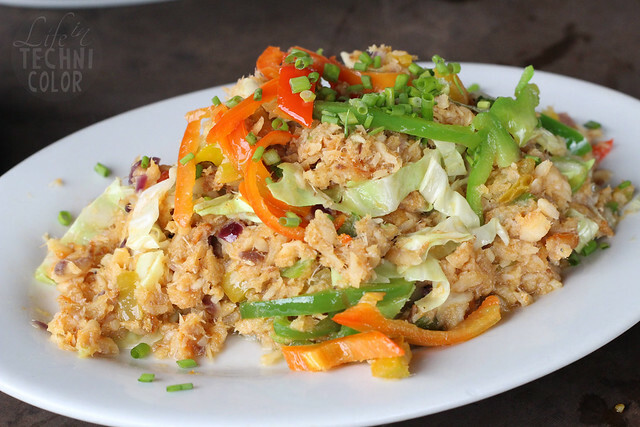 If you've ever been to a traditional Filipino party or fiesta, this is one of those staple dishes that you can find in bilaos. 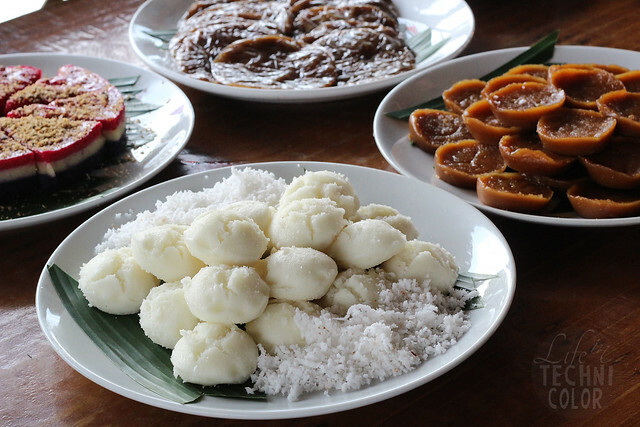 Just when we thought it was all over, Chef Vill served us the kakanin specialties from his hometown Imus. 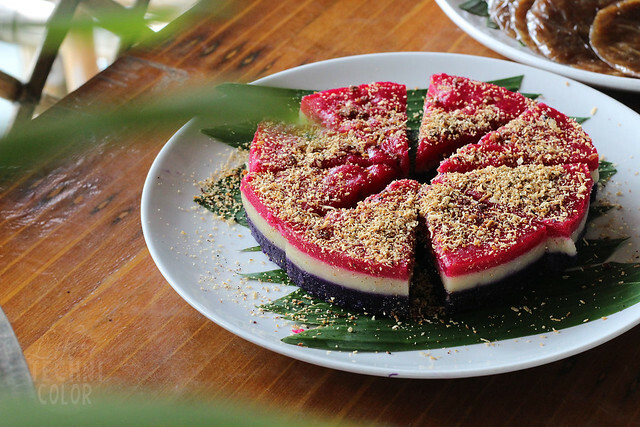 It was an all-you-can-eat buffet of Kutsinta, Puto, Sapin-Sapin, and Kalamay! To end the wonderful lunch was Cavite City's Tamales. 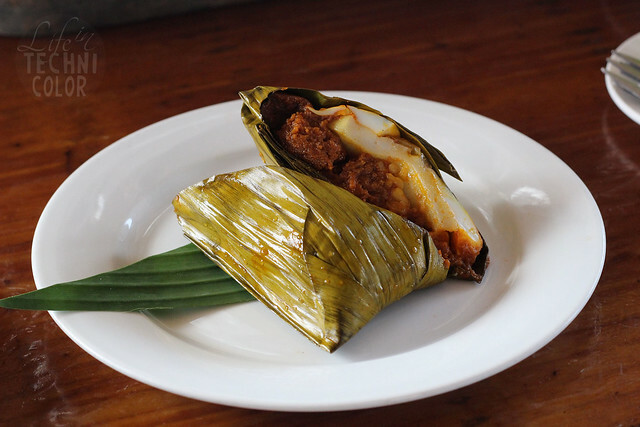 It is glutinous rice flour mixed with corn meal, chicken, pork, and salted egg wrapped in multiple layers of banana leaves. Thank you so much to everyone at Island Cove for the warm welcome, especially Sir Gilbert Remulla, Chef Vill, and Nana Nadal! Island Cove's Taste Cavite menu is currently available every Friday, Saturday, and Sunday, and will be served daily beginning December 22. It's definitely worth visiting Island Cove for. 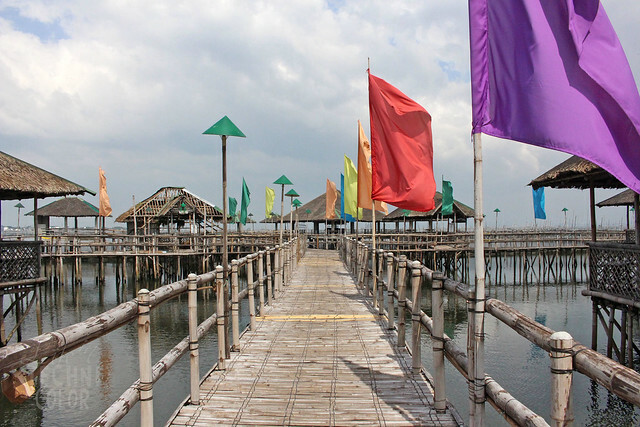 Take a swim and have a gastronomic tour of Cavite just a quick forty minute drive from Makati! 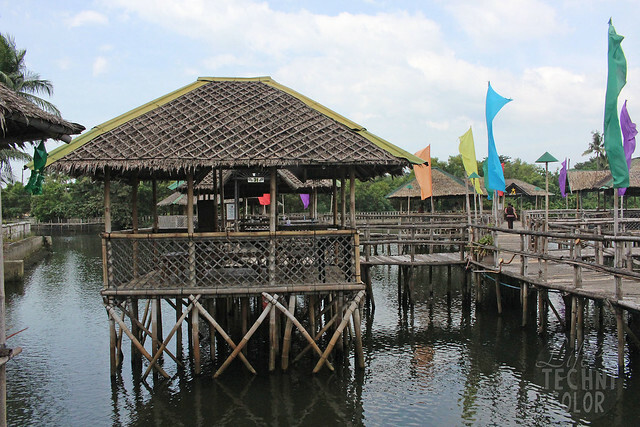 Island Cove Hotel and Leisure Park is located in Binakayan, Kawit, Cavite.